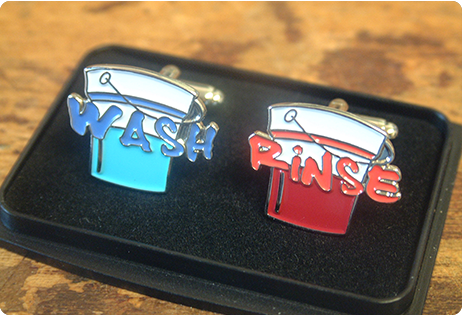 What better way to promote your business and be remembered after an exhibition than to give-away keyrings and lapel pins depicting the company's products or logo. Prestigious car wax company Dodo Juice produced a keyring, bottle opener and cufflinks to give away at the various exhibitions and car shows they attend. The result was quite astounding as the company had people ringing up long after the exhibition to thank them for the gift and more importantly to order there products.